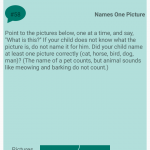 Follow your child’s growth developmental milestones in a professional way. 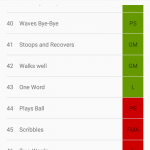 Child Growth Diary makes it very easy for a non-professional user to analysis child’s development using visual data charts. 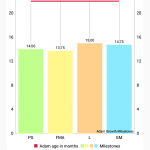 Child Growth Diary is the most complete platform to track the growth in children aged 0 to 6 years based on Denever II (1998) prescreening developmental questionnaire (PDQ-II) which is developed by professionals to monitor child’s growth milestones. Denever II (1998) prescreening developmental questionnaire (PDQ-II) analytic tool will make it easy to monitor the growth progress to get ahead of any potential problem in the child’s growth milestones. 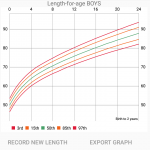 Our app will allow you to add one or more children and easily record their height and weight monthly and draw the data in the standard WHO (World Health Organization) percentile graphs for girls and boys up-to 5 years of age. You can also use either the metric or the American measurement standards. 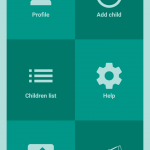 Add your child’s name, birth date and photo to personalize each child in the application. Export any graph in the application as JPEG image to your phone to use it later or share it with others. 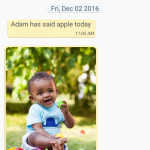 Child Growth Diary contains a diary screen to save every wonderful moment you spend with your child in a message like platform as texts and photos. 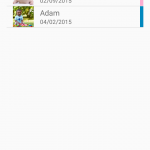 Switch easily between children in one list. 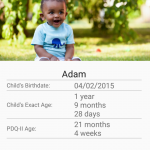 If you are a caregiver, you can use Child Growth Diary as a tool to track many children developmental milestones in one place. 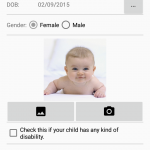 If the child has any kind of disabilities, the application will remove the six year age limit so you can use it for any age. 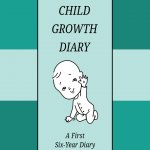 We hope Child Growth Diary will help you to monitor your child’s growth development. Please only use this app as a guide. You must not rely on the information on this application as an alternative to medical advice from your doctor or other professional healthcare provider. If you have any specific questions about any medical matter you should consult your doctor or other professional healthcare provider. Please read the MEDICAL DISCLAIMER integrated in the application for further details.